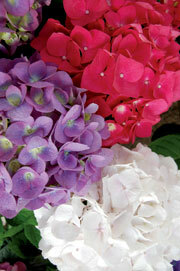 Every spring some of Payne’s most popular blooming gift plants are bigleaf hydrangeas (Hydrangea macrophylla). In more temperate and humid climates, these natives of Japan and Taiwan can grow to be big, rounded, deciduous, spring and summer-blooming shrubs. But these beauties are primarily another “grown outdoors elsewhere, but houseplants here” plants. 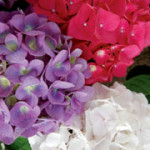 They are available in the spring and are very popular as gift plants for Easter and Mother’s Day because of their beautiful big clusters of flowers that provide long-lasting color. Indoors, keep hydrangeas in a bright spot out of full sun and feed regularly with a water-soluble acid fertilizer (available at our Garden Centers). They can look gorgeous in containers on the patio throughout the summer if they’re given partial shade protection from the full afternoon sun. A few areas in northern New Mexico are able to accommodate hydrangeas outdoors but they need a moist, deep, acidified soil in partial to full shade. They also need an acidic fertilizer and regular thoroughly watering — about three times a week until the plants are well established. 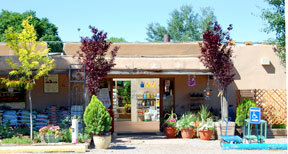 Mulch year-round with shredded leaves or straw and they will need extra protection from freezing temperatures.